What do I do if I’m served with a complaint in Florida? Panic may set in because you’ve never been involved in a lawsuit before and you know that you may be in for an expensive bill between the lawyer’s fees and if you end up with a judgment against you. You may even think that if you just ignore the complaint, it will go away or the plaintiff will forget about you. Don’t ignore it. It is extremely important that you take action right away. There are time limits for responding to complaints in Florida, and you want to make sure that you have your answer filed within that time limit (we as lawyers also appreciate you giving us enough time to prepare the best response for you). If you don’t, you will likely lose you right to defend against the lawsuit and will be stuck with an expensive judgment. How much time to I have to respond to a complaint in Florida? First, you need to know the time limits for responding to complaints in Florida. Once you are served, you need to carefully read the summons. The summons is a paper that is required to be served with the complaint. The summons will tell you how long you have to respond. For most complaints, the time limit for an answer or other responsive pleading (like contesting jurisdiction) is 20 days. This time limit applies to complaints alleging negligence, breach of contract, foreclosure, and many other types of civil cases. Another time limit that you may see is 5 days. A 5 day time limit for responding to complaints occurs in complaints for eviction, unlawful detainer, or some other narrowly defined types of cases, usually dealing with the return of property- anything to which summary procedure applies. In small claims cases, there is no set time limit to respond to the complaint. Instead, you will need to appear at a pretrial hearing on a specified date that will be included with the complaint when you are served in order to state to the court your response to the complaint. A written response is only required if you intend to bring a counterclaim against the person suing you. If you don’t show up at the pretrial hearing, you will automatically lose the small claims case. That goes for plaintiffs and defendants. This is why it is extremely important that you carefully read the summons that is served along with the complaint. The summons is the only document that will tell you how long you have to respond. Contact an attorney as soon as possible if you are served with a complaint. Second, you need to immediately contact an attorney (many will give you a free consultation). This is very important. Hiring an attorney to represent you in a case is highly recommended. Now you may balk at this and say, “Well you’re an attorney, of course you’re going to say that.” While that may be true, we’re not saying to necessarily hire us; just talk to an attorney who can help you with your case. 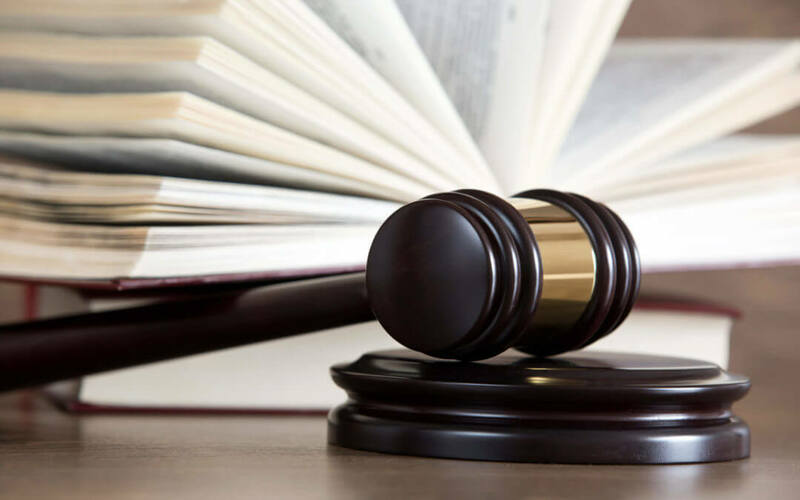 An attorney will make sure that you respond to the complaint within the correct period of time and raise any available affirmative defenses to the lawsuit. In other words the attorney can be a barometer for the magnitude of the storm you may be facing. Hiring an attorney can help you identify if you have any counterclaims against the plaintiff. An attorney will be able to make sure that counterclaims are raised properly in the answer. The law is complex and hiring an attorney is the only way to make sure that you are putting forward your best defense to the lawsuit. If you ignore the complaint, a default will likely be entered against you in the case. So what if you just ignore the complaint and pretend it didn’t happen? Perhaps you think you don’t have deep pockets or enough assets to warrant a lawsuit. This is not recommended, unless you think a good resolution is having your property seized at some point in the future. If you don’t defend the lawsuit, you give the plaintiff a free pass and he or she is able to win the case without having to prove their part of the case – their allegations are treated as the truth. This is called a default judgment. A default judgment is entered if the defendant does not respond to the complaint filed by a plaintiff in a case. Once a default or default judgment is entered, there are very limited ways in order to have it set aside. Most likely, the judgment will stand and you will be held accountable. Contact us today if you have been served with a complaint in Florida. The bottom line is that it is always best to talk to an attorney and ultimately hire one as soon as possible if you are being sued. An attorney may be able to put you in the best position to minimize the damage from a lawsuit. We are more than happy to discuss your case. We can give you an idea of how strong your case, or defenses are. We can also give you an idea how much it will cost to defend (or not defend) your case. Contact our firm today to schedule a free consultation with one of our attorneys.